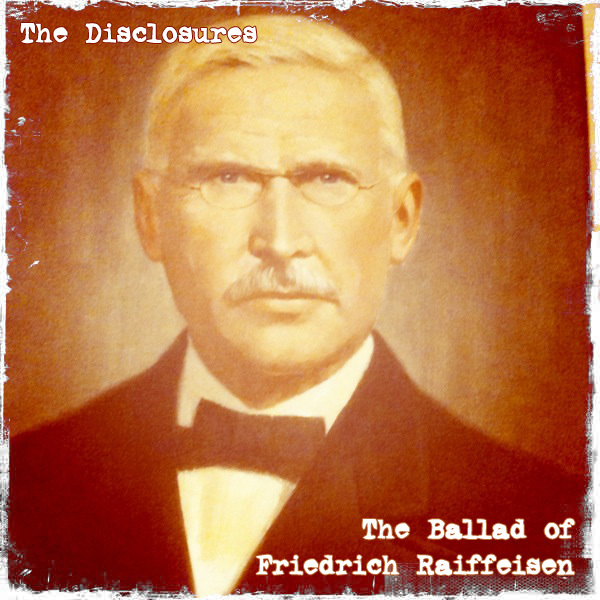 Right in time for International Credit Union Day, The Disclosures are proud to release a track from their forthcoming album, “The Ballad of Friedrich Raiffeisen”. This song celebrates the inspiring and oft-overlooked life of the father of the credit union movement, Friedrich Wilhelm Raiffeisen. That’s okay, it was never about me. Have a happy International Credit Union Day! This entry was posted on October 9, 2010 by Christopher. It was filed under Music News . You know that I love this. LOVE IT! As the head of your fan club let me just say the first track rocks. I heart The Disclosures!! Meghann – you are too kind and thanks for rocking the fan club! Thank you for the Raiffeisen-Song. You can find the German translation on my facebook site Jörg Burghardt and Geno Entertainment. We were going to translate the song soon and glad you did it instead. You guys made my day! Waiting for your CD launch! Thanks Vikki! You’ll be one of the first to know when it’s out in the world! Pingback: The Disclosures to Play Milwaukee Chapter Meeting 1/20 « (Hey, We're) The Disclosures!